Across my desk came the assignment for the insured claim of irreparably damaging a protected tree during construction. It seems as though the construction personnel, shall we say, drifted across the tree barricades and smacked a protected tree but good. The government arborist cited code violations and a six-figure number for mitigation. There were pictures. Lots of them. And, yes, there was damage for certain. But was the damage irreversible or irreparable? And what of the fine for the tree loss, to the extent the tree was a total loss? The adjuster was justifiably confused. If the damage were to a car, there would be no questions as to clarity. What is the year, make, and model of the car? How many miles had been racked up? What condition was the car in before the accident? Could the car be repaired or is it a total loss? The same questions or the same approach can be used for the settlement of a tree claim as would be for a car, with some minor differences. Differences that only a qualified arborist can assess. Here are some helpful recommendations to consider when landscapes or trees are at issue in an insurance claim: In this instance, the insured object is living. That changes the approach versus a car, but not that much. Trees can, in fact, repair themselves or be repaired by a knowledgeable professional. The cost of a tree repair is no different, in theory than the cost of a body shop repairing a car. Just the components change. A “cure cost” is just like providing a rental car until the damaged car is repaired or replaced. A cure or a repair cost cannot be paid until and unless the value of the damaged tree is first established. Right? Sure. If my 2001-model car was destroyed through no fault of mine, would you pay for a 2019 car? No? Then why consider that as an option for a settlement regarding a tree? Trees have a make and model just like a car. No betterment should be paid for the difference in species. 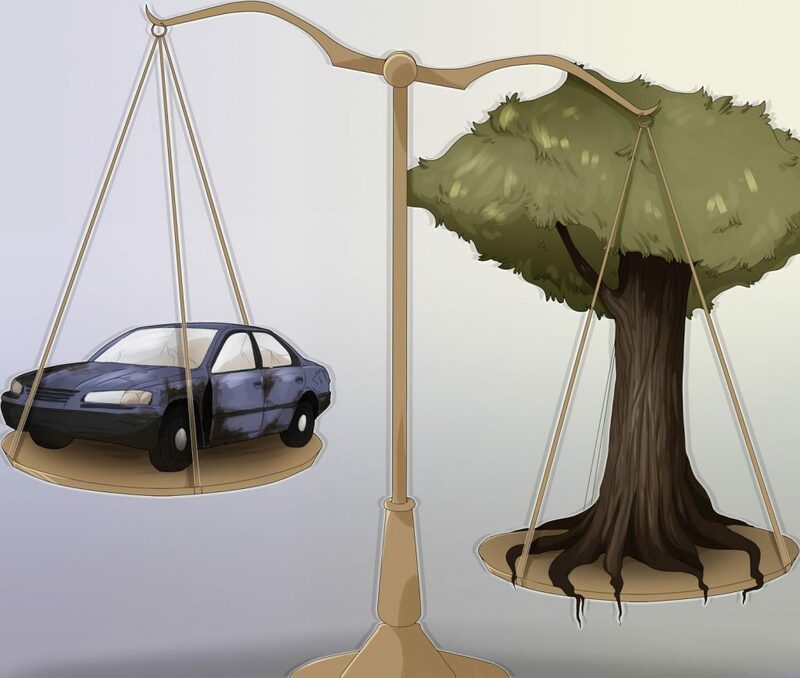 Trees have a depreciating value, just like a car. Trees have mileage considerations, just like a car. Trees have a paint job, just like a car. Trees can repair themselves, unlike a car. There is little difference between approaches in settling a car claim and a tree or landscape claim. What to ask for when a tree or landscape claim finds its way across your desk. Pictures. Lots of them. Make certain that the pictures include the site where the incident occurred. Was the site a home or a commercial property? An appraisal of the tree or plant subject to the matter. This appraisal does not have anything to do with curing or repairing the subject tree. Nothing. What is the value of the part (the tree or landscape plant) taken or damaged? This appraisal can be desktop reviewed for reasonableness and authenticity with opinions given over the phone or a simple written narrative. In many, if not most, instances, this service can be furnished as a professional courtesy. Once the value is established or proffered, then and only then may the subject of a cure or a repair be made or considered. If it is a cure, then it must be stated exactly what will be cured. What was the function of the tree? Was the tree providing privacy? Property-line delineation? Erosion control? Many times a cure does not translate into a tree substitute replacement for the benefits the insured tree was providing. If a repair, what will be done? And by what individuals? Professional arborist or a homeowner? You will want an itemized, line item breakdown as to costs, not just a listing of what is being proposed and one solitary figure at the bottom of the cost sheet or proposal. Each component of the cure or the repair must be itemized. This is not an unreasonable request. And this line itemization will tell much of what is actually being claimed. Worksheets for the cure or repair must accompany the claim. The credentials of the author presenting the cure or the claim. Perhaps the author is the insured, and that’s okay. But you need to know the knowledge level of the person authoring the claim. It seems that most tree and landscapes claims cause much consternation for both the adjuster and the insured. The reason is almost always fear paralysis on the part of the adjuster. In a matter of death or injury, that paralysis is a good thing. Only qualified attorneys have the horsepower to manage that type of claim. However, in matters of tree loss or damage, the claim may be managed in a professional and expedited manner. Just think of a car, and you will be off to a great start.